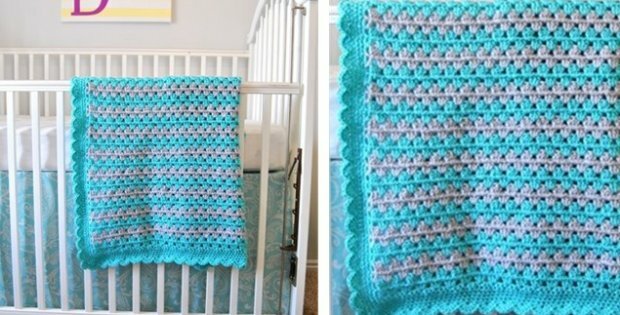 This crocheted granny stripe baby blanket is perfect as a quick baby shower gift. The baby blanket works up quick and easy and will also be great for charity projects. This great crocheted baby blanket with granny stripes is designed by Rachel over at Maybe Matilda. Rachel has written a great crochet pattern. She has also included a photo tutorial. You can access the FREE crochet pattern from Rachel’s website. Her pattern is divided up into three different posts. There are links to all three on her website.